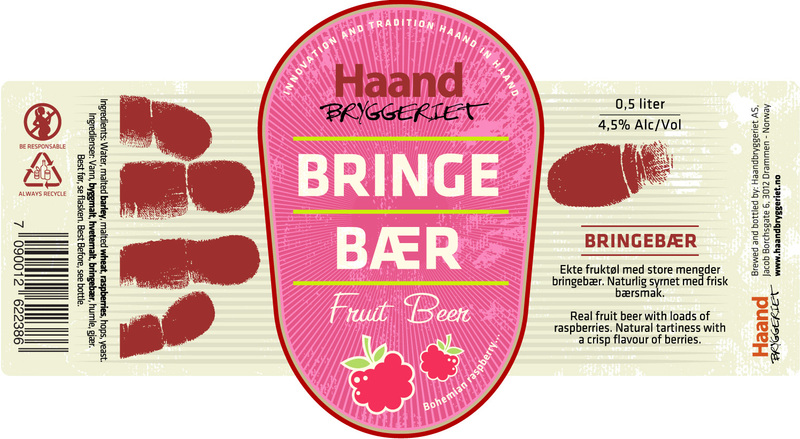 Real fruit beer with loads of raspberries. Natural tartiness with a crisp flavour of berries. 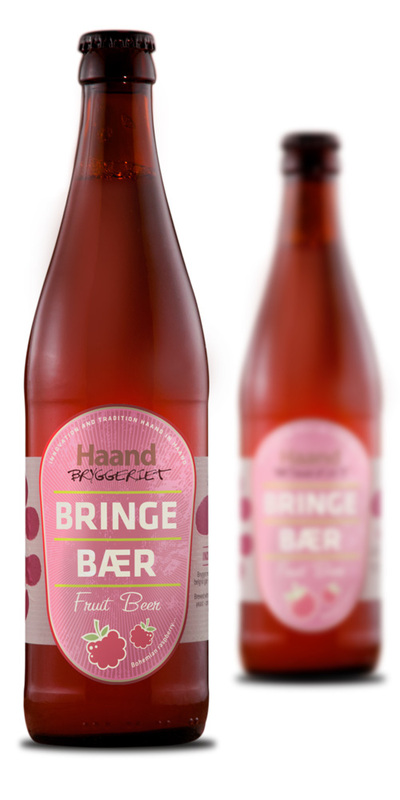 “Bringebær” (Raspberry) is a tart blonde with copius amounts of raspberries. The berries have not had any conservatives added nor have the berries been heat treated. 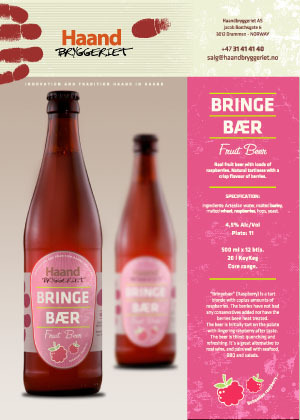 The beer is initially tart on the palate with lingering raspberry after taste. The beer is thirst-quenching and refreshing. It´s a great alternative to rosé wine, and pairs well with seafood, BBQ and salads.